Party Gaming PLC, the company behind Party Poker, announced bumper new player numbers this week in, what seems, a relentless effort to stay ahead of the competition as the world's largest online poker room. 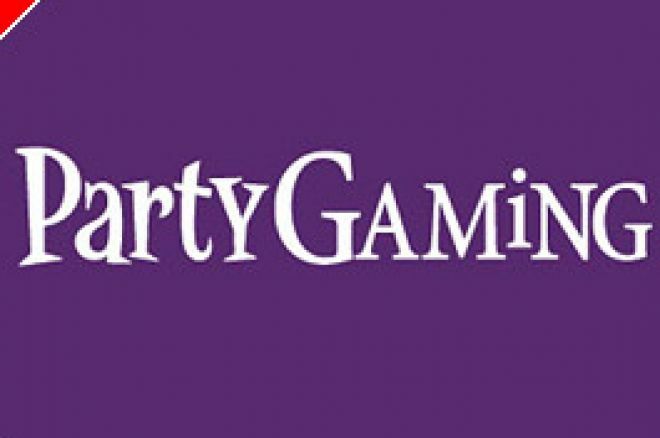 Party Gaming PLC announced on Friday that they had a record 4th quarter, in regards to signing up new players. Party Poker's parent company said group sales rose 65% to $320,000,000 in the 4th quarter of 2005, prompting a raft of upgrades from FTSE stock market analysts. Surprisingly, after an early boost to the share price on the back of this news, Party Gaming PLC stock slumped 2.75% at the close of trading. Profit taking my investors appears to be the likely reason for the drop, insisted experts. Party Gaming share price has risen an impressive 9% already in 2006. The near 230,000 new players from the last quarter should only strengthen this price rise. Chief Executive Richard Segal said: "The success of blackjack has transformed our casino business. Through effective cross-selling to our large customer base we are well on the way to creating the world's largest online casino." Meanwhile, Party Gaming's legal battle with Empire Poker rages on. "While an amicable resolution would be preferable, PartyGaming will vigorously defend these proceedings," claimed Segal. Ed note: Why not vigorously increase your bank roll by joining Everest Poker and double your first $50 deposit with their great new bonus.